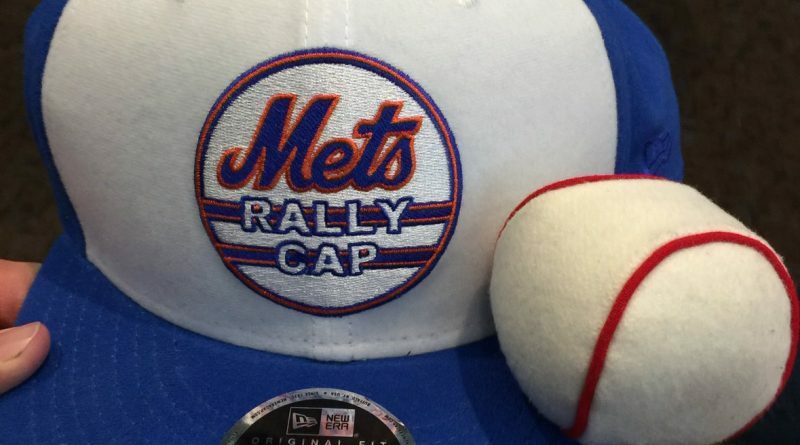 Do you know the history of the Rally Cap? Do you know the history of the Rally Cap? 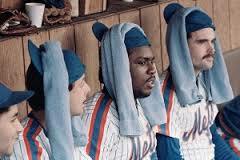 I have to admit, I had a very loose grasp on what I knew to be the origination of “The Rally Cap”. First we must define what a Rally Cap is. A Rally Cap is a baseball cap worn backwards, inside out, or in another unconventional manner by players, fans, or both in attempts to will their team to a come-from-behind victory late in the game. The rally cap is generally considered a baseball superstition, but has found its way into other sports. Being an die hard New York Mets fan, I can vaguely recall the 1985 season and seeing some of the Mets players wear the rally caps, and eventually some of the fans as well. 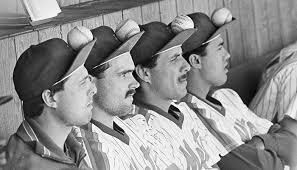 The Rally Cap gained even more fame during the incredible 1986 World Series run by the Mets and their eventual win from down 5-3 with one out left in the 10th inning of Game 6, to winning the Championship in Game 7. However, it is rumored that an American Legion team from Ohio started wearing the Rally Cap back in 1983, and some Detroit Tigers fans recall some Tigers players wearing the hat inside out way back in the 1940’s. Regardless of when the trend started, one thing is for certain, the Rally Cap is an important part of baseball and is here to stay. The reason I chose to learn more about the Rally Cap today is because tonight, at midnight, the Official New York Mets Rally Cap is getting a re-release on its 30 Year Anniversary courtesy of The 7 Line. 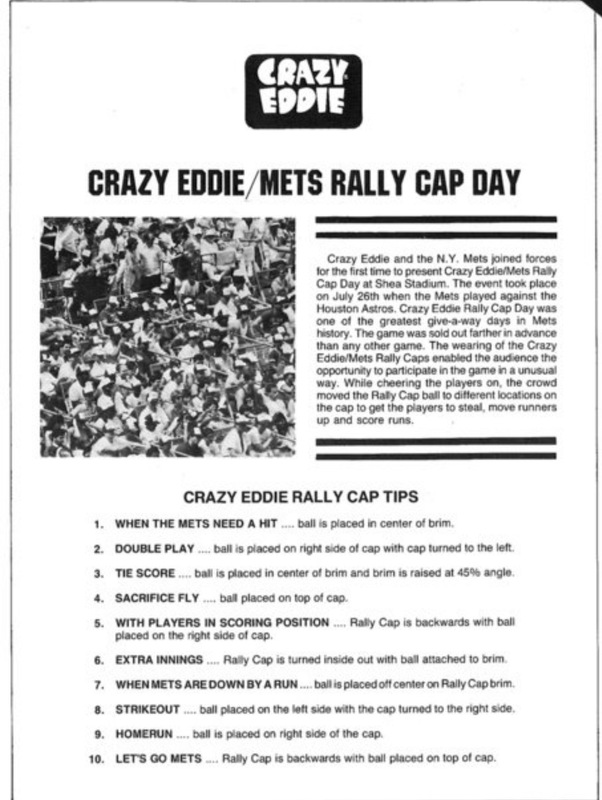 The Mets held a promotion on 7/26/1987 in which all fans in attendance received a Rally Cap (sponsored by Crazy Eddie’s…who’s prices were….IN….SANE!!!!). The cap came with a velcro ball that you could place in different positions on the cap based on what you were hoping would happen in the game. 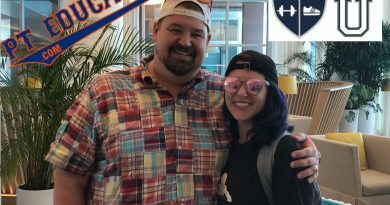 Tonight, I make my bid to obtain a Mets Rally Cap for both myself and my brother for his belated birthday gift! ← I LIKE TO MOVE IT MOVE IT! 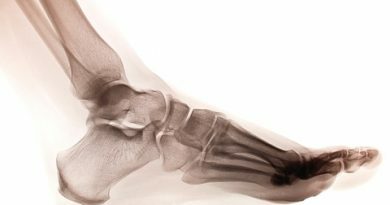 Did you know you can have an extra bone in your foot?